This cozy cabin is located on the Yellowstone River at the southern end of Paradise Valley, just 4 miles north of Gardiner and the original entrance to Yellowstone National Park. Whether you are coming to visit the park, sample the blue ribbon trout fishing or to enjoy the numerous year-round outdoor activities the area has to offer; this location is ideal for you. This newly remodeled cabin comes with all of the amenities you would expect to make your stay comfortable. 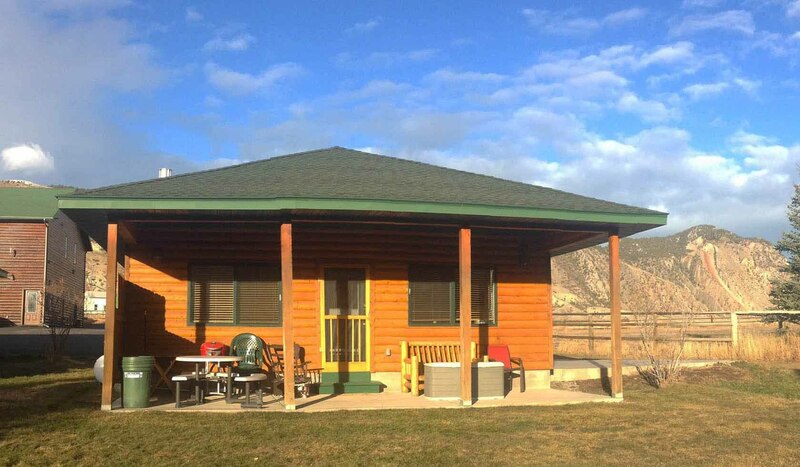 Your covered outdoor porch overlooks the Yellowstone River with spectacular views of the park and Electric Peak. Each bedroom can accommodate up to 4 people, has it's own full bathroom and satellite TV. When you want to kick back in the evening, enjoy the living room's reclining furniture, satellite TV and Franklin stove. The cook will not be disappointed. The kitchen is equipped with a water filtering and ice making refrigerator, quality appliances and cookware and even a variety of spices. A washer and dryer along with all linens and towels for bedrooms, bathrooms and kitchen are also provided. The area abounds with year round outdoor activities. Winter offers the solitude of snowshoeing, back country and cross country skiing both in the park and in the surrounding National Forest. Spring brings a special treat for bicyclists. While the northern road from Gardiner to Cooke City remains open year round, the remainder of the park is limited to bicycle traffic only for a period in the month of April. As winter run off swells the the Yellowstone River, rafting and kayaking take center stage. Summer offers park visits, fishing and all of the other outdoor activities too numerous to list. Fall wraps up the year with smaller crowds in the park, crisp fresh air, hunting and great fishing.